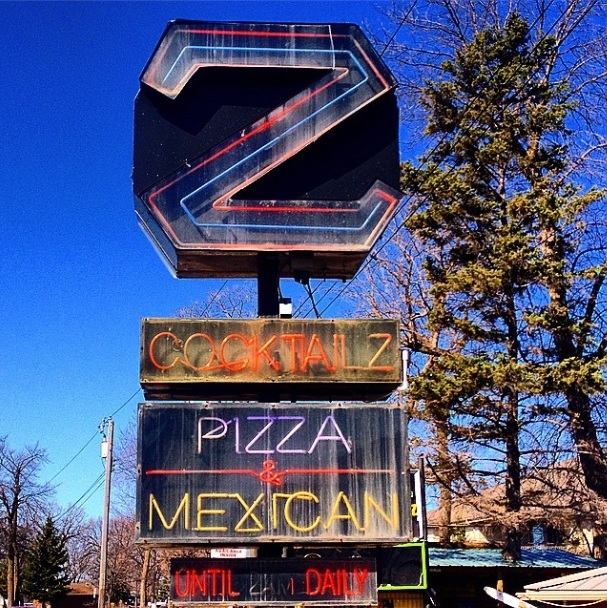 If you’ve ever been “up north” to Minnesota’s central lakes area, you’ve undoubtedly seen the billboards for Minnesota’s Zorbaz Restaurant chain, with puns and cheeky humor and occasionally a stoner-looking hippie dude. 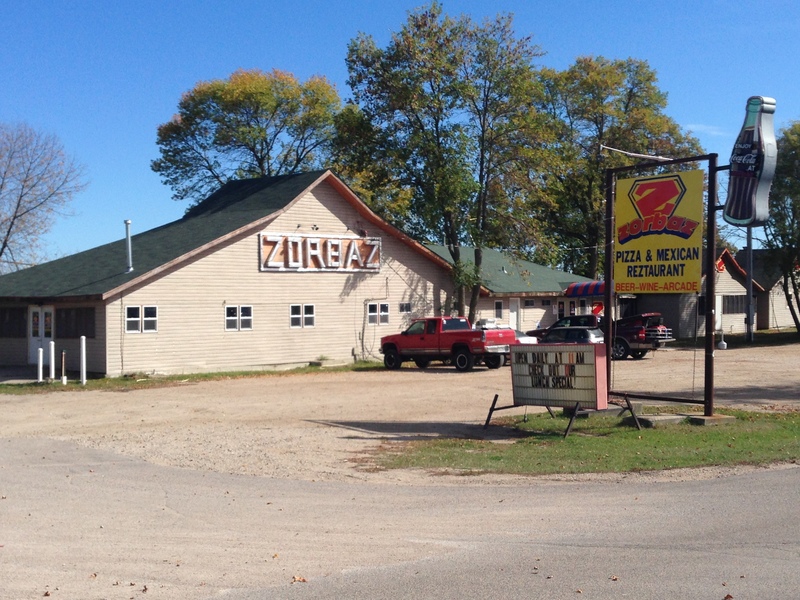 For those of you who don’t know, Zorbaz is a classic Minnesota-lakes franchise, a storied pizza-and-mexican joint which started in Detroit Lakes in 1969. The chain is eclectic, divey, casual, and they have consistency down to a science. There isn’t much of a waitstaff; you order your food at the bar and they bring out to your table. Zorbaz has a lot of interesting menu items like a pizza with peanut butter on it and a “4:20 Burrito” in case you have the munchies. And every “S” is swapped out with a “Z” wherever possible, most notably the menu, which features more puns, bad jokes, and lots of anecdotes. 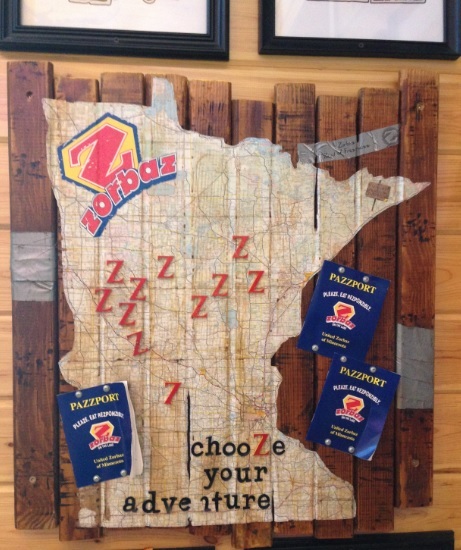 As of October 2017, there are currently 11 different Zorbaz Restaurant locations in Minnesota (marked on the map above with Z’s, naturally), all of which are located in northern half of the state on different lakes. 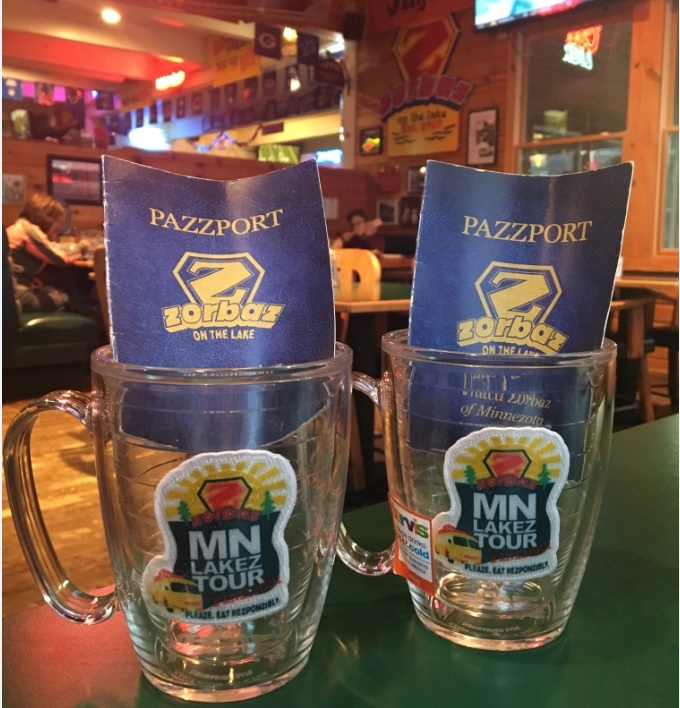 In recent years, Zorbaz started offering a free “Pazzport,” which you can get stamped at each location. When you complete the tour, you receive an unspecified prize. So over the last two years, we have taken the official tour to check out each location and ranked them accordingly. Here is the official list! 11. Crozz Lake – The Crosslake, MN location we found to be a bit underwhelming. The location was easy enough to find, it’s in a cool little town in the Brainerd-area chain of lakes, but the fact that it wasn’t even on a lake was a big letdown. You can’t even see the lake from the restaurant. The set-up is a bit compartmentalized, and aside from an outdoor volleyball court, the no-lake view aspect put the Crosslake location at the bottom of the list. 10. Pelican Lake – The Pelican Lake Zorbaz is maybe the most divey of them all; a long, narrow space that is only open seasonally from May-October. 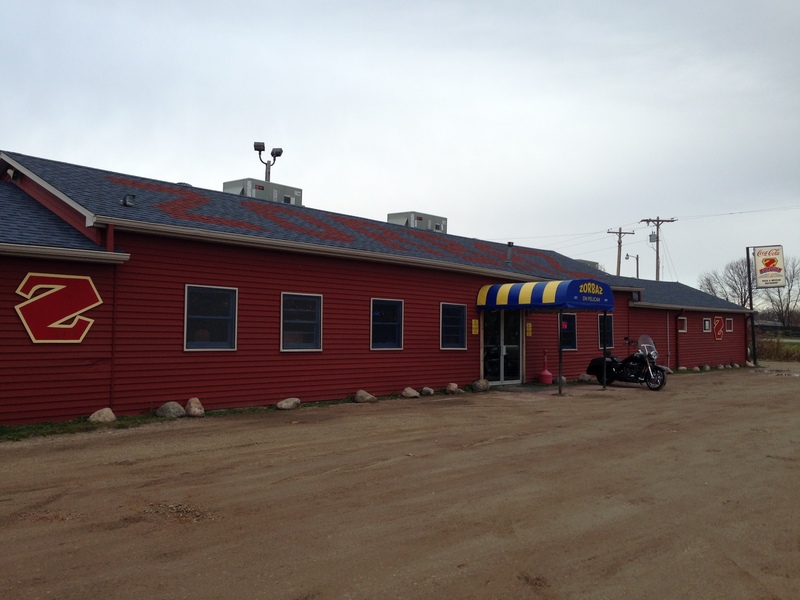 It is within view of Pelican Lake, but a heavily-traveled road lies between the restaurant and the water. It has a rooftop patio and a nice view of the lake, but it just feels a bit cramped and claustrophobic. 9. 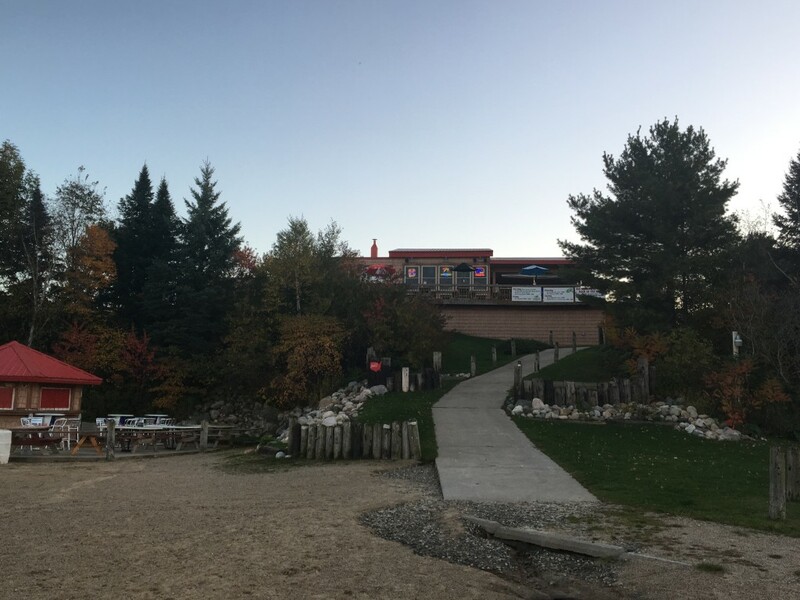 Lake Le Homme Dieu, Alexandria – One of the more recent Zorbaz locations, we learned that there was a Zorbaz in Alexandria around 20 years ago, but the roof collapsed from a heavy snowfall and that was that. 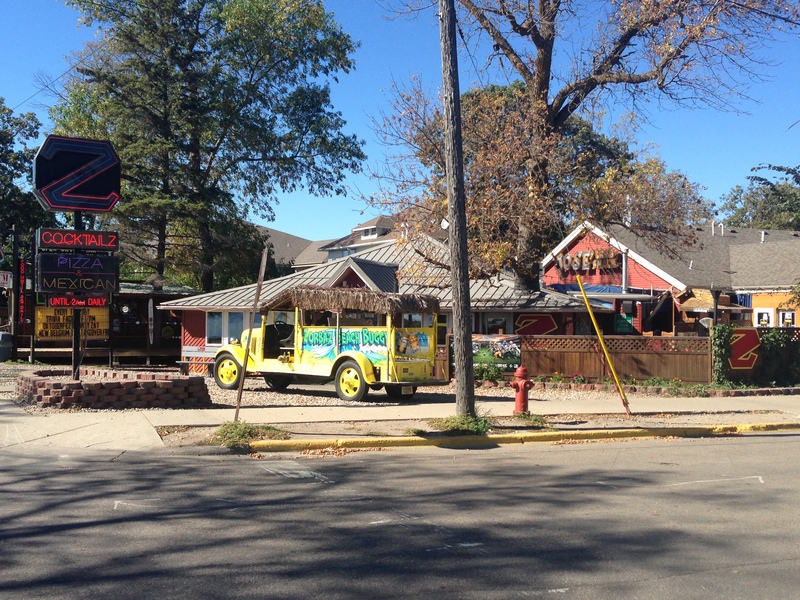 This Zorbaz opened in the location of another restaurant that closed around 2010, right next door to Alexandria’s own Bugaboo Bay, which is a big Zorbaz competitor. It sits a little lower on the list due to its location: separated from the lake by a busy county road. 8. 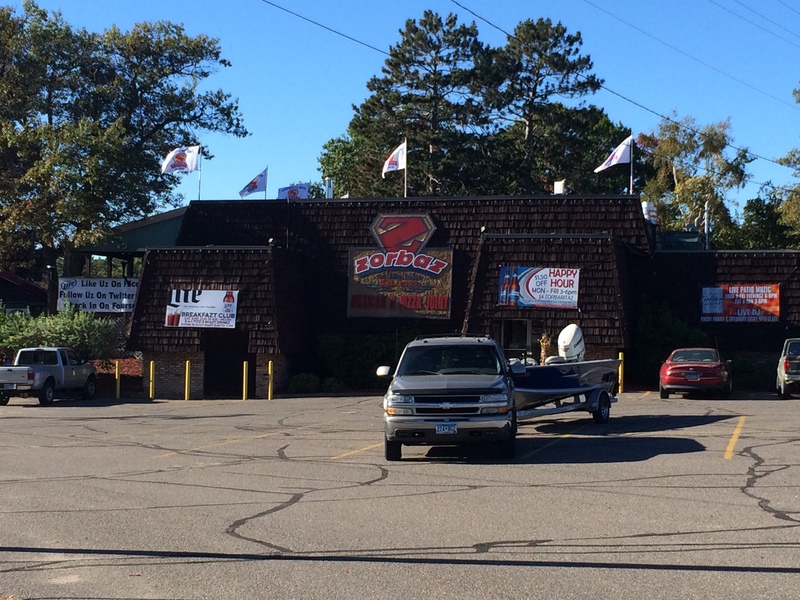 Detroit Lakes – The busiest and most iconic Zorbaz is the original location on Detroit Lake. They have added on several times but the location still features the original little store, with its cluttered walls and low ceilings. It can get packed in the summer and on weekend nights, but otherwise, it’s the undisputed go-to hotspot of Detroit Lakes, any given time of year. 7. 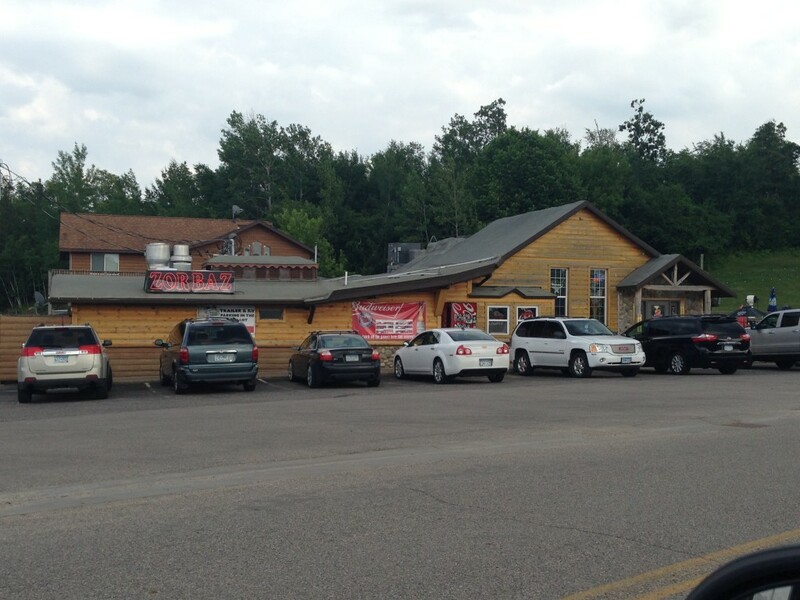 Zorbaz On Green Lake, Spicer – Probably the weirdest Zorbaz of the lot, the location just north of Willmar on Green Lake took over a former restaurant called Melvin’s. The place is nice, but it had a weird vibe to it, especially seeing a big fireplace and open dining room where nice booths and tables once were, now dressed down and adorned with kitschy decor. It does have an exceptionally nice beach area though. 6. 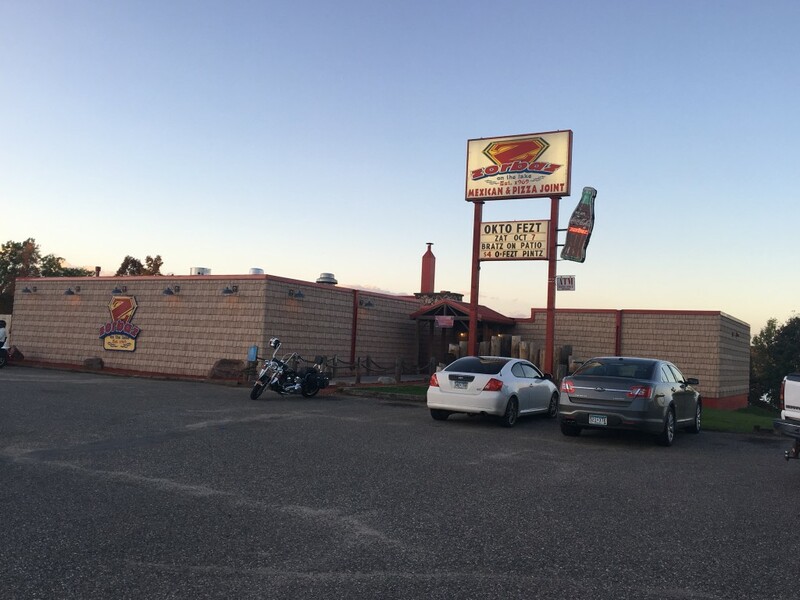 Big Zandy – McGregor, MN – Another recently-opened location, this Zorbaz location also opened up in the location of a former restaurant on Big Sandy Lake which is northeast of Aitkin. It’s kind of small, and it is really off the beaten path. 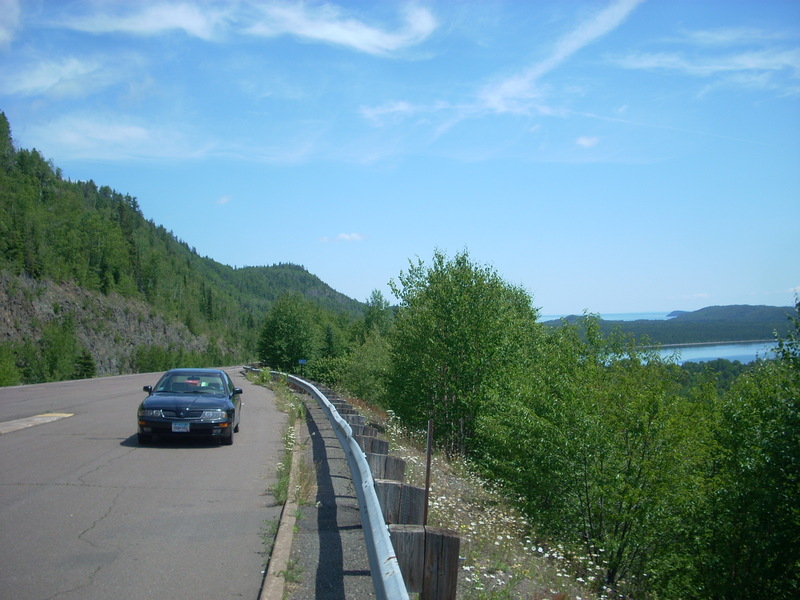 It has a great view of the lake, and they even sell gas for visiting boats. We liked this location due to its relaxed vibe and remote location. 5. 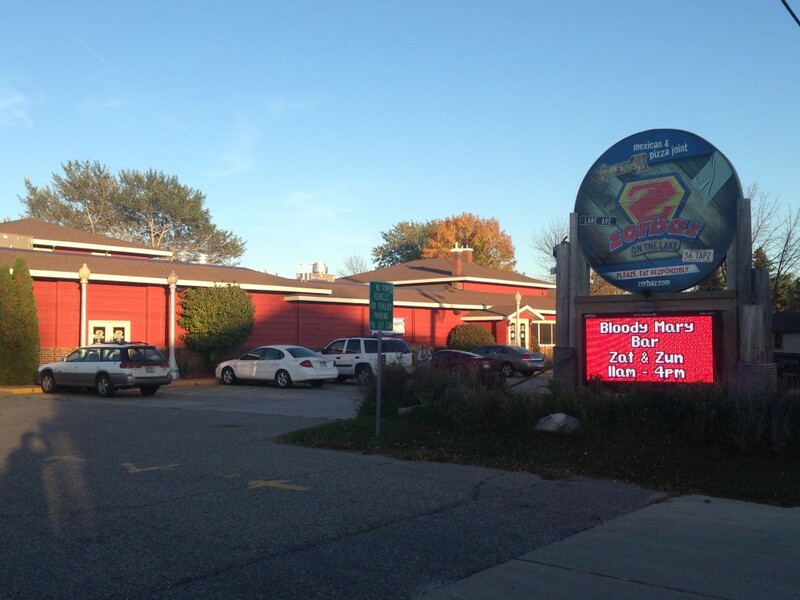 Zhateau Zorbaz, Park Rapids – Actually closer to the restaurant capital of Dorset than Park Rapids, the Zhateau Zorbaz between Big and Little Sand Lakes is a nice, big location built on a former trading post site. It took over the Chateau Restaurant around 2007 and is a great entry in the Zorbaz catalogue. 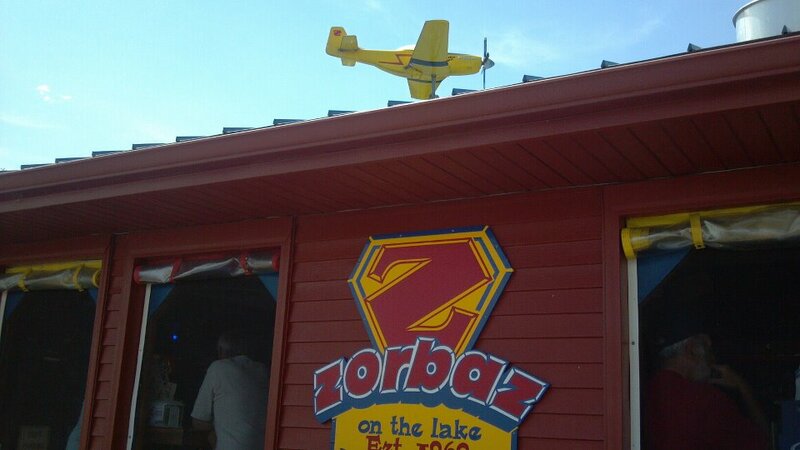 Park Rapids struggles in the restaurant department, so having a Zorbaz nearby is a huge plus. 4. 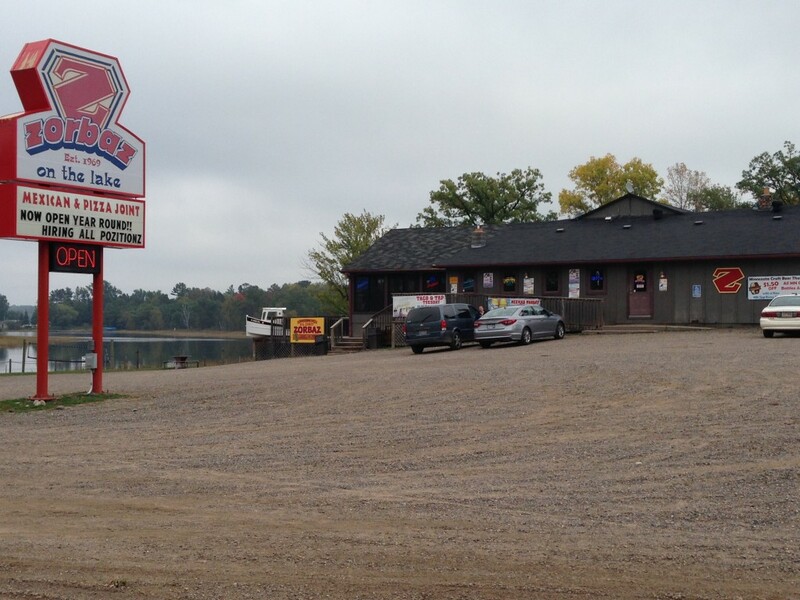 Little Pine Lake, Perham – The Perham Zorbaz is a great alternative to the busier nearby Detroit Lakes location, situated right on Little Pine Lake with a more laid-back feel than Detroit Lakes. It can get busy in the summer, but there’s nothing like the outdoor deck just steps away from the water on a beautiful summer evening. 3. Ottertail Lake – This little beauty on the southwest side of Ottertail Lake is the smallest, and only open in warmer months. Its no-frills, open-air setup makes for a great experience on hot, summer days, with patio seating literally right on the lake. 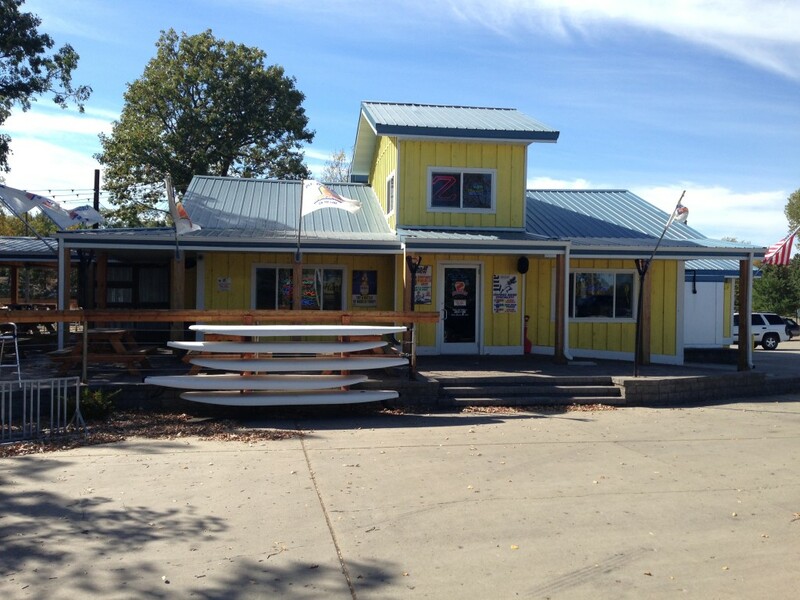 Boaters often pull up and park in the docks, the staff will bring food right out to your watercraft. Bonus points for snagging a seat on the deck and watching boats try to dock on a windy day! 2. Gull Lake – Undoubtedly the flashiest of them all, the Gull Lake Zorbaz near Nisswa is located in a beautiful setting where a river meanders off off Gull Lake. It features multi-level outdoor patios, an outdoor stage for a band, volleyball pits, arcade, a dog park, plenty of dock space and even a dance floor area in the bottom level. The place stays packed all summer. 1. Lake Pokegama, Grand Rapids – The last of the 11 that we visited, the Grand Rapids Zorbaz on Lake Pokegama was coincidentally our favorite. It has an open, warm feeling to it with quirky elements like a pontoon repurposed into a seating booth, a lifegaurd tower for a DJ booth, and stadium style seating for watching games. The outdoor patio has an amazing view, and the waterfront area has a killer set up with plenty of boat space, volleyball pits, a tiki bar, and a sandy beach. The hospitality was warm, inviting, and family-friendly as well. 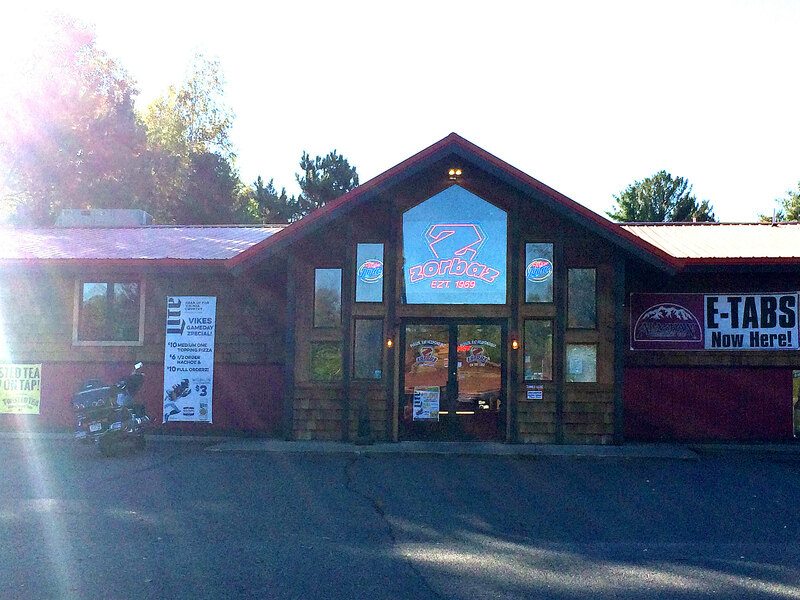 Zorbaz is a great Minnesota franchise, each location is locally owned and with their own unique personality. Along the way you learn a lot of new things, like there were several failed locations over the years, such as Fargo, ND and Pine River, MN (neither were on a lake); there was almost a Bemidji location a few years back; and there is an entire secret “underground” menu, some of which items have recently been added to the regular menu. 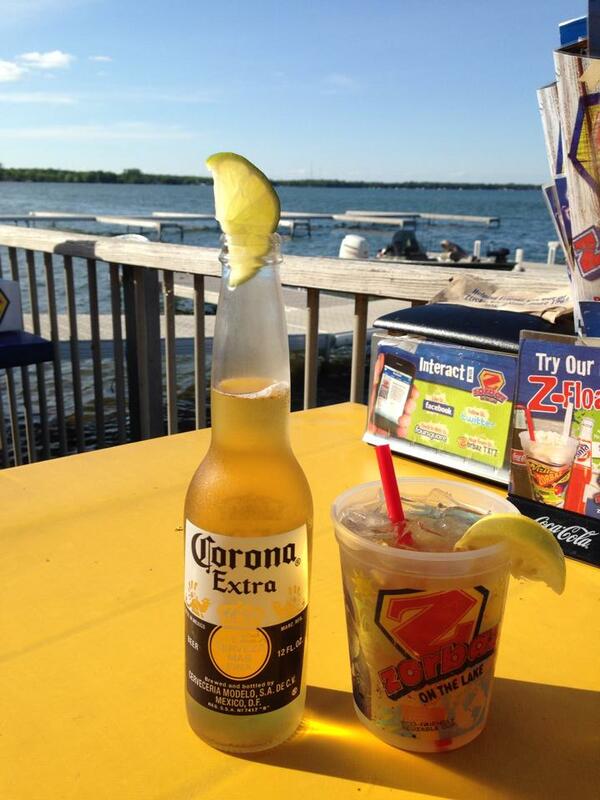 Zorbaz will forever be associated with lazy, summer lake days, and that’s good enough for us. 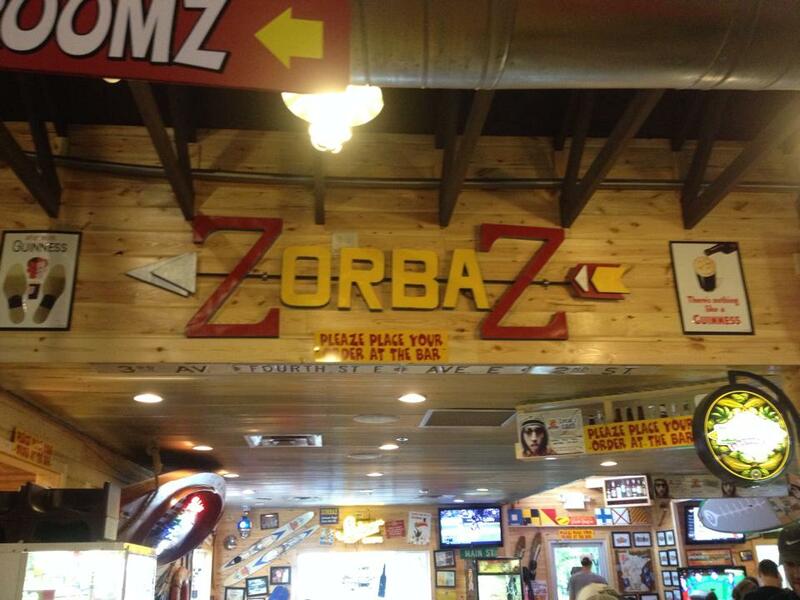 What is your favorite Zorbaz location? Hey Seth, just wanted to say thanks so much for ranking us #1 here at Zorbaz on Pokegama! I’ve had some fun looking over a few of your articles and am looking forward to checking out more in the future. Glad you guys had a great time on your Z-tour! Come stop by again soon! Thanks Chris! We had a blast there and will definitely stop back if we are in the area again! Thanks for the great hozpitality! Hello. I just wanted to let you know that your story on the Alexandria Zorbaz and it’s history in that location is inaccurate.